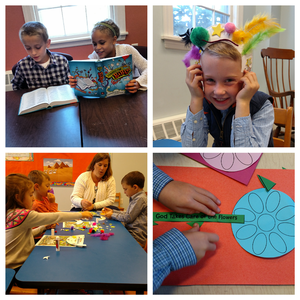 When you walk in the doors at UCC Medfield, it won't take you long to see lots of young children and youth buzzing around. We feel strongly that kids and youth are important contributors to our community and adults love to worship and serve alongside them. From leaders in Children's Church, to ushering at one of our two worship services or singing in a music group, our kids and youth are valued members of the congregation. We hope you will take a moment to check out what is happening in Children's Ministries and Youth Ministries this year!